Edinburg Police here are investigating a homicide after a man who crashed into a light pole near the Hidalgo County courthouse died from what appeared to be a gunshot wound Monday afternoon. EDINBURG — The family of a man shot to death near the Hidalgo County courthouse is fundraising to bring him home one last time. Joshua David Sanchez, 27, died Monday shortly after taking a bullet to the upper torso. Sanchez, a Springfield, Massachusetts, native, appeared to be behind the wheel of a white passenger vehicle when the shooting occurred. 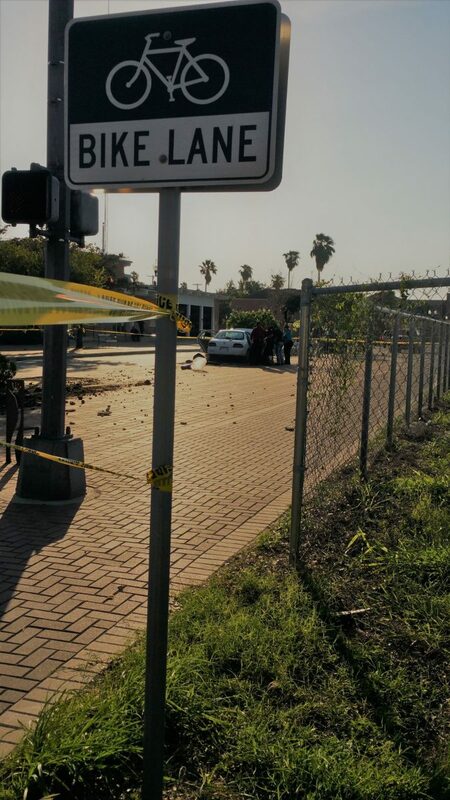 His car crashed into a light post near Edinburg’s downtown square. Police have yet to release details about the incident, possible suspects or a motive in the case. It’s also unknown where the gunshot came from. A K-9 trained to find spent casings, weapons and ammunition was guided around a grassy area near the crime scene, which might indicate the gunshot came from outside of the vehicle. However, no such information has been released. Sanchez was described as a single father of two boys in a GoFundMe page set up Tuesday afternoon. The post also indicated a third son died in 2011. “He departed this lifetime on his way to his sons,” the post said about Sanchez. The Edinburg resident recently moved to Texas “to better his life and his children’s life,” his mother Zoraida Sanchez wrote in the post. The page seeks to raise $10,000 to pay for the transportation of his body to his hometown, but only $100 had been donated as of 4 p.m. Tuesday.